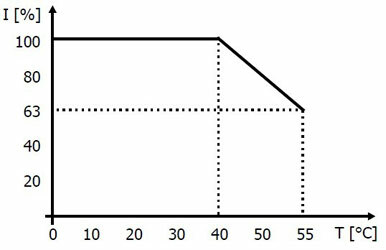 VFD power reduction (VFD derating). 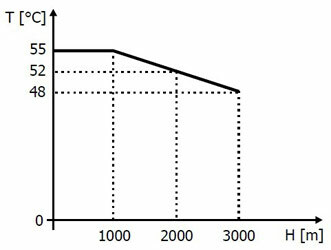 Above 1000 m: Reduction by 5%/1000 m. Maximum altitude 3000 m.
Above 1000 m: Reduction by 3.3°C/1000 m. Maximum cooling agent temperature 55 °C. 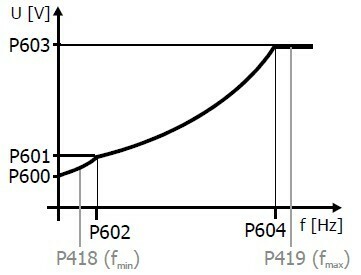 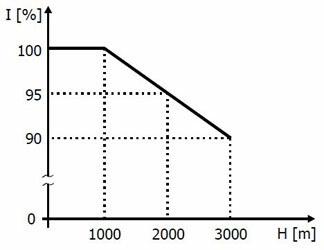 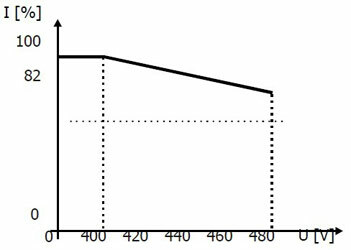 Reduction of cooling agent temperature T depending on installation altitude H.
Reduction of output current I depending on cooling agent temperature T.
Reduction of output current I depending on output voltage U (= mains voltage).